With Farnborough Air Show 2014 fast approaching, companies such as BAE Systems need to decide what models they are going to be displaying. 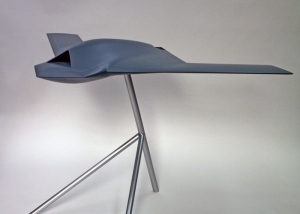 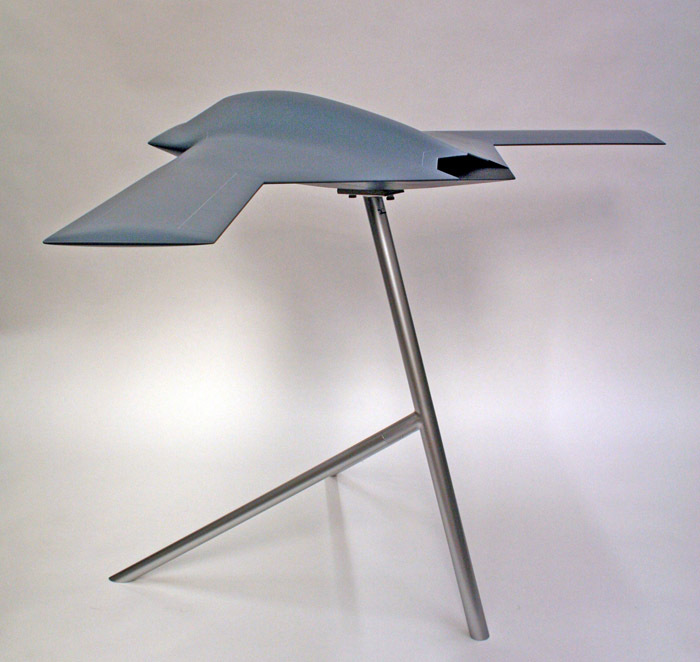 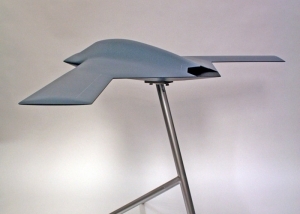 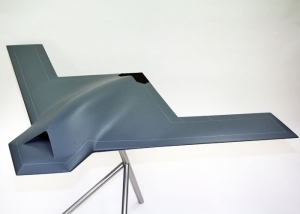 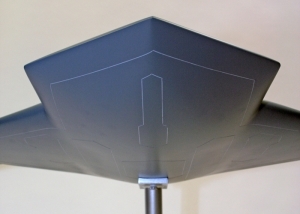 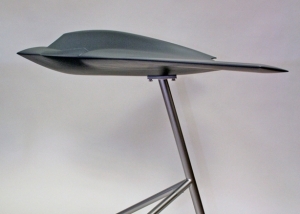 Mastermodels were asked to create a model of BAE’s concept UAV for their FCAS (Future Combat Air System) to be displayed on one of their stands. 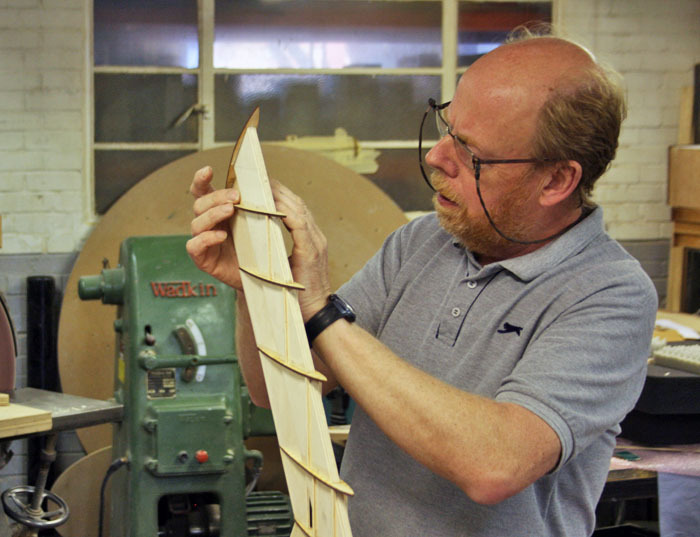 The short lead time meant that there wasn’t time to carve a master and take moulds from it. 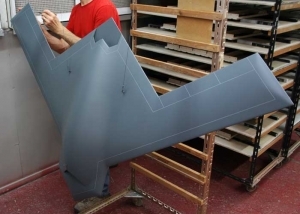 The model also had to be light weight so it couldn’t be made from solid material. 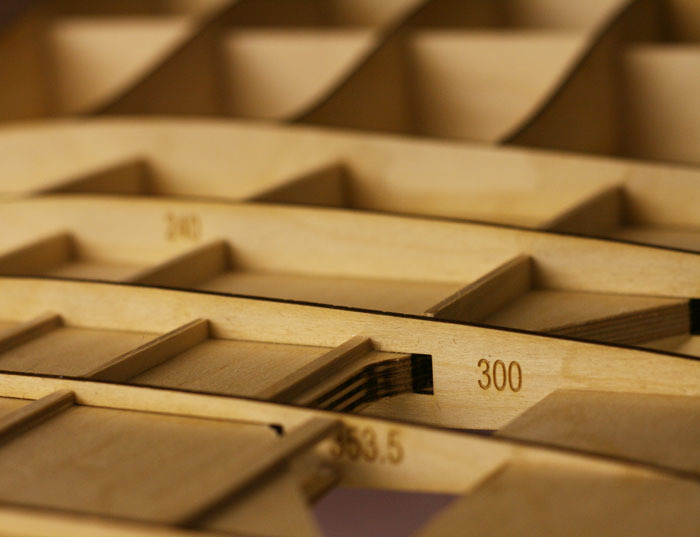 We decided to create a 3D CAD model with the limited reference materials that we could acquire and from this we could laser cut ribs that would intersect the model at particular points. 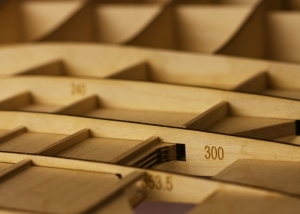 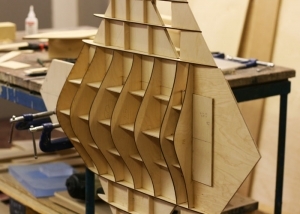 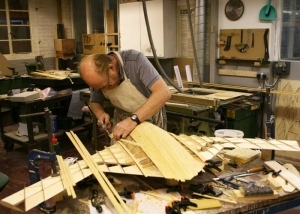 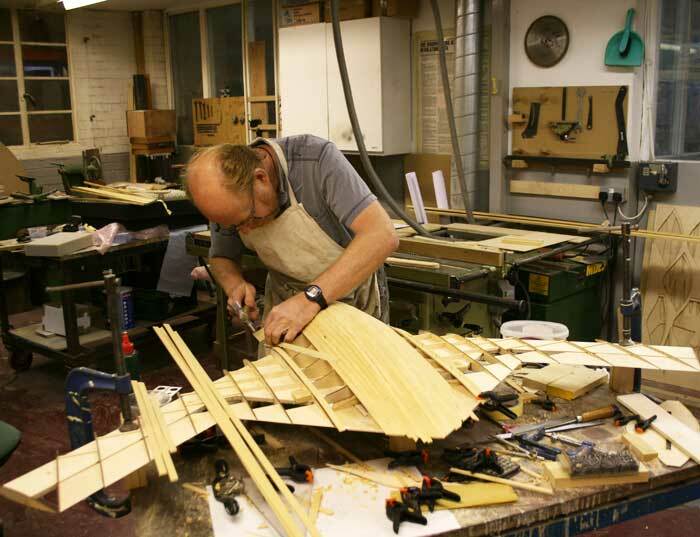 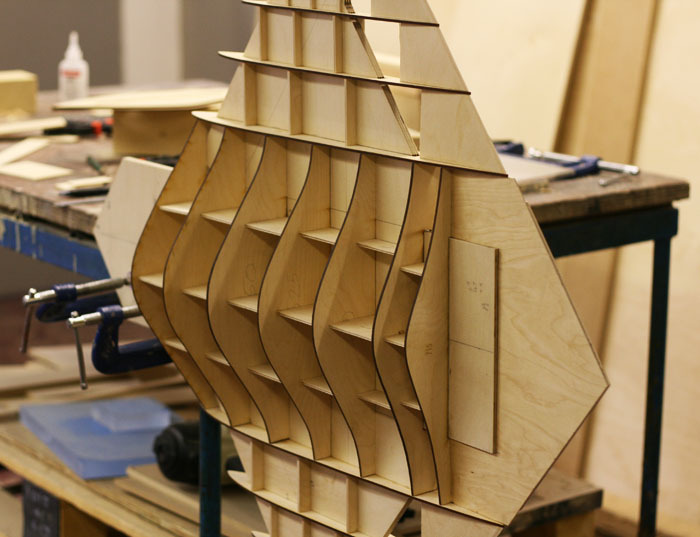 This gave us a skeleton that we could skin using single layered birch ply. To add rigidity and create a super smooth surface we then added a thin layer of fibreglass. 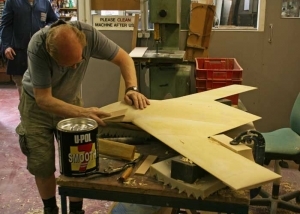 Once the model was given a coat of high build primer and sanded smooth ready for the base coat, the aircraft’s features such as undercarriage doors and flaps were masked out. 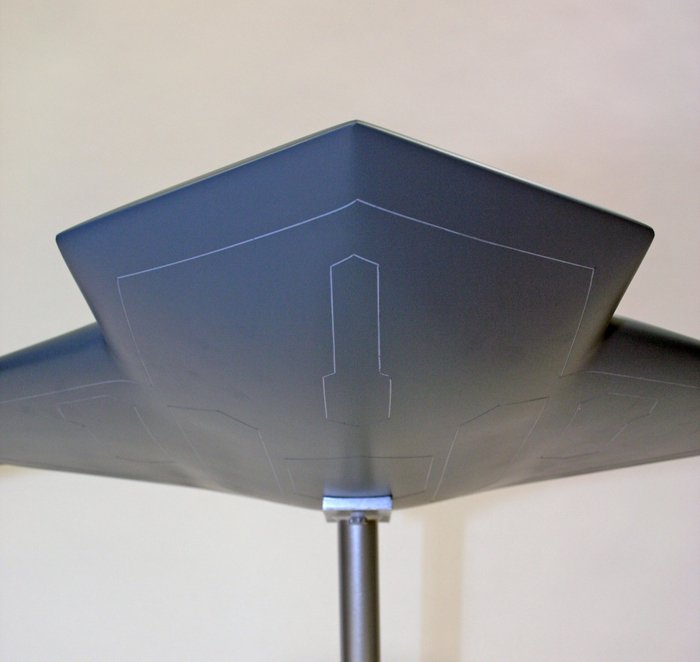 The model then received its final coat of grey paint. 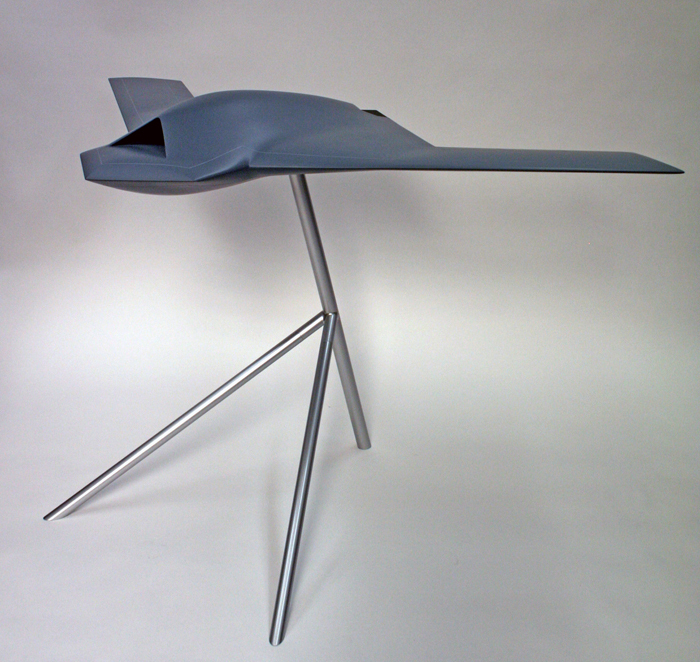 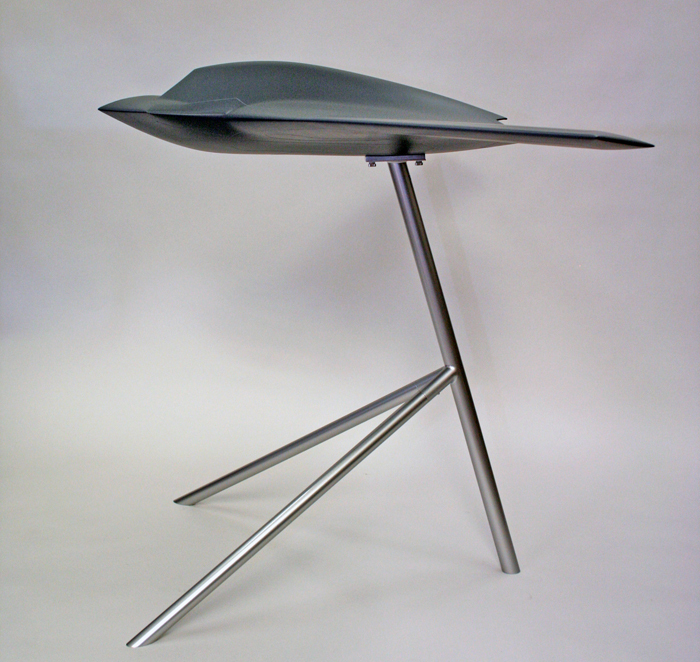 We designed the model so that it could be displayed on a tripod stand or by hanging it from a ceiling. 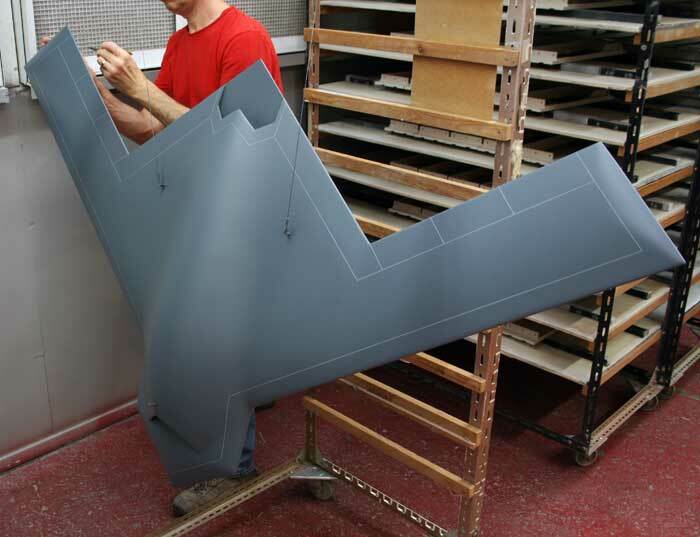 The process was a very traditional way of creating an aircraft model but allied to the latest technology in laser cutting and CAD software.